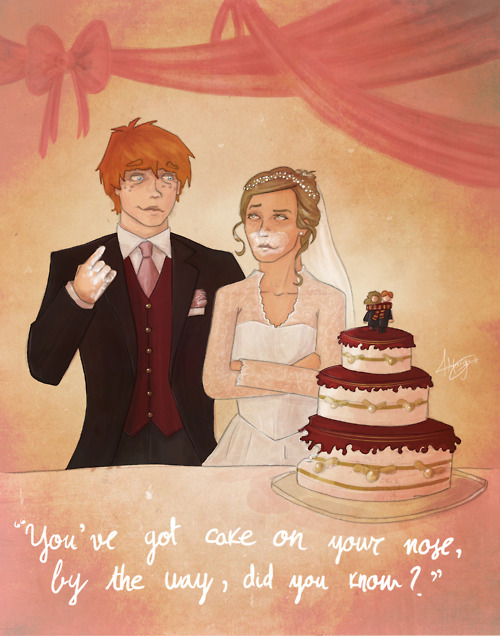 romione. “You’ve got cake on your nose, por the way, did you know?”. Wallpaper and background images in the romione club tagged: romione ron weasley emma watson rupert grint harry potter hermione granger hermione ronald wedding nose.